Mothers Day is this weekend and many of my friends are scrambling to find the perfect give for their wife or mother. Don't tell my mom, but I have had a gift in mind for awhile. 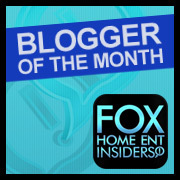 I have been using Restaurant.com for my favorite sushi restaurant for about 5 years now. While browsing through the many restaurants on Restaurant.com I noticed that my moms favorites were there too! What better present is there to treat your mom or wife to a lunch or dinner? Restaurant.com offers savings at thousands of restaurants nationwide with nearly 50,000 gift certificate options. Every time you buy a gift certificate it is at a reduced price. Did you want to add a little extra special to the gift of dining? Here are a few tips that might come in handy. Vibrant blooms are the perfect way to say “Happy Mother’s Day” to your very special mom. 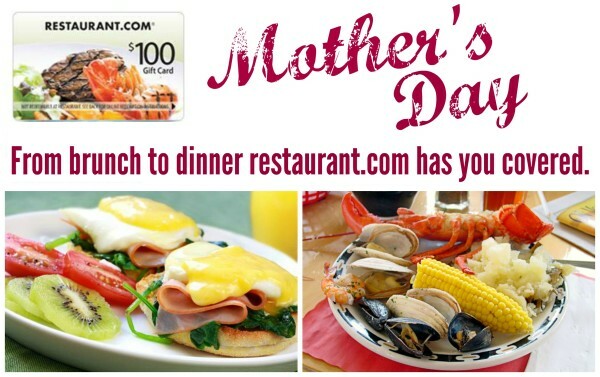 Surprise mom with a whimsical bouquet of flowers and a Restaurant.com Gift Card. Help mom discover the serenity and relaxation she needs with a spa treatment, followed by lunch at a tasty new restaurant using her Restaurant.com Gift Card. 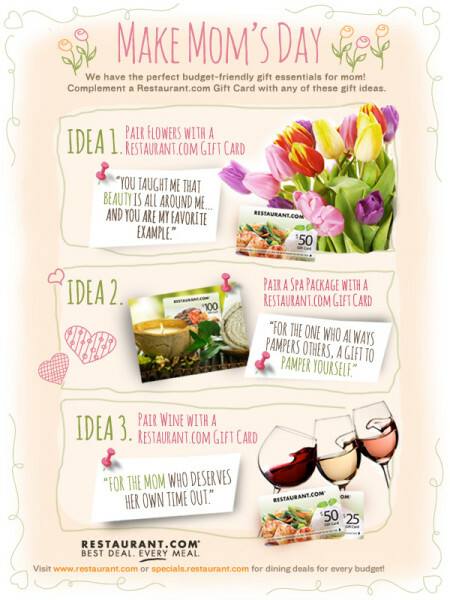 Pair her favorite bottle of wine with a Restaurant.com Gift Card! Treat mom to the ultimate Mom’s Night Out.What mom wouldn't love someone cooking her exactly what she wants, having it served to her in a nice atmosphere and not having to clean up a single mess! Make sure to check out Specials by Restaurant.com for more Mother’s Day gift ideas or to create your own memorable gift for mom! In celebration of Mother’s Day, Restaurant.com launched the” What Does Mom Mean To You?” Pinterest Sweepstakes being held Monday, April 28 – Sunday, May 11. I am actually spending time with my mom this Mothers Day and I plan to purchase one of the gift cards ahead of time to take her out to her favorite restaurant. My family calls me cheap but I just love a great deal!